It does not require acquisition, minimizing the risk with expensive and complex solution purchases. Use it yourself without IT help. Build analytical panels at any time. Flexibility, without obligation of permanence or fine for cancellation. beMemo has the Tablet and Smartphone versions, which allow users to browse and browse their applications via mobile, in real time, in any browser and on platforms such as Android, iOS and MS Windows. Key navigation features are supported, such as changing portals, dashboards, drill down and drill through, maximizing analytical objects, and so on. Use beMemo to replace existing portals with significant savings. Also use as Sandbox or Agile BI and for public and operational portals with great value for money and performance. 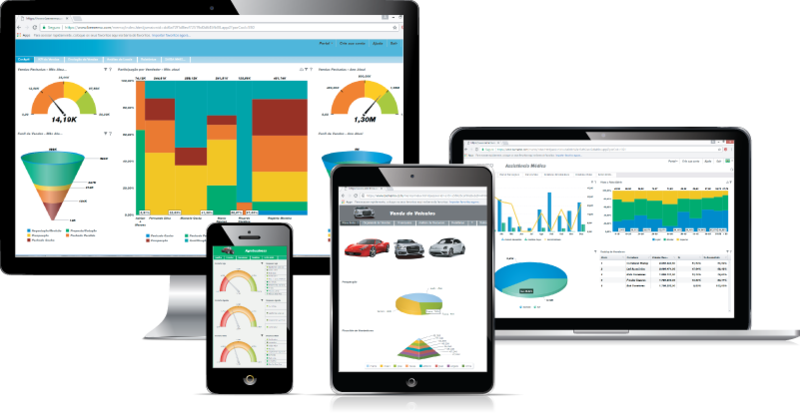 beMemo can complete your BI legacy and also replace current analytic dashboards for a fraction of the cost of maintenance. It can be used in public, internal and external portals for large numbers of users and areas such as Customers, Suppliers, Investors, as well as internal users of operational applications, with optimum cost and performance. New uses of Cloud Analytics by IT department. Prototype applications with dynamic user participation, more efficient, with lower costs and risks. Make files available to your users so they can develop their urgent applications in a timely, easy, fast and efficient way. Accelerate analytical deployment and deployment. Use ready-made models to distribute applications to your customers and users. Models available in the beMemo store. Use customizable templates or application templates to get results immediately with beMemo. You can also create your own templates to use immediately in your organization, or distribute them to your customers if you are a partner or consultant. The beMemo Store offers free templates and has a private section for selective distribution of templates, plus a public session for you to place your templates for public access. Join thousands of companies that are being impacted with the beMemo platform in more than 50 countries.